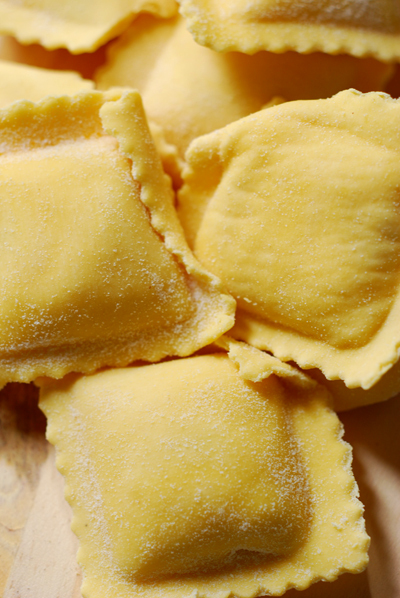 A little larger than ravioli, these have a potato based filling. With something with a neutral flavour such as potato you can afford to match it with a richly flavoured sauce. Place a little oil and butter in a pan and when the butter has melted, add the onion and sauté over a medium heat until the onion has softened and started to colour. Add the cubed prosciutto and continue to cook, stirring often, until browned. Add the halved tomatoes placing them cut side down to allow the maximum amount of heat to enter them, you don't want them to colour just to start to soften and leech some of their juices. You don't want them to become dissolve just lose a little structure. Stir again adding some freshly ripped basil and a little pecorino. The sauce is basically ready now for the pasta. 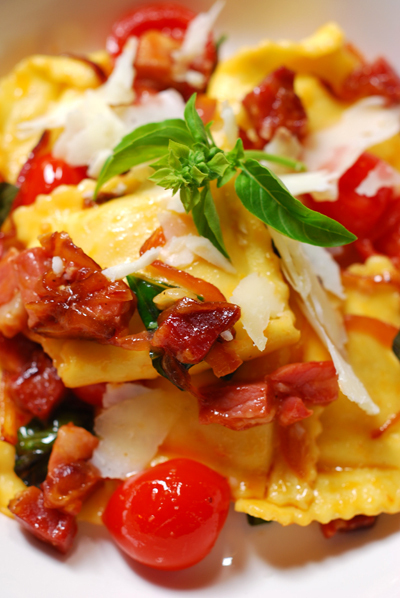 Add the drained tortelli to the pan and toss through, you'll notice a red tinge from the tomatoes will colour the dish. 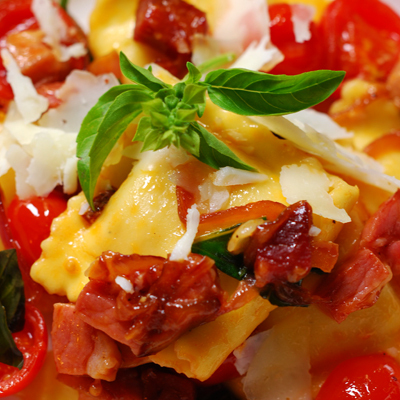 Add more just ripped basil and serve in bowls, with an extra sprinkling of pecorino and fresh basil sprigs. Looks fantastic and what wonderful ingredients! I'm impressed you're managing to cook while away. I'm with Truffle - gorgeous looking dish and I'm truly jealous. Thanks for sharing with Presto Pasta Nights. 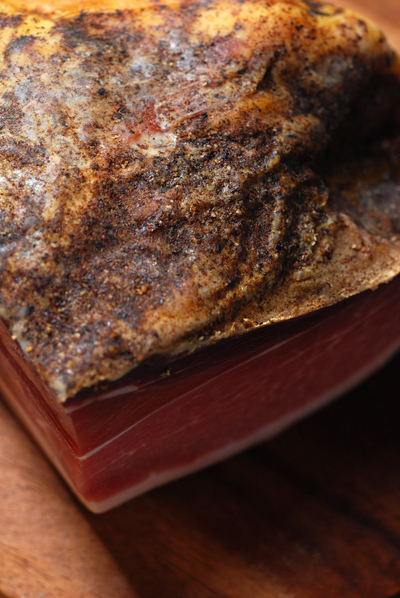 I love cooking with chunks of dry-cured ham. Here it is either Bayonne or the local stuff - we actually have a pig farmer that comes in a truck twice a year with his own hams! Oh yum Katie - that must be such fabulous ham.